Here are two songs for each type. The first song represents the lower side or the struggles for that personality, and the second song represents the higher side or the gifts of the type. Click on the name of the song to listen to the youtube video and see lyrics. Enjoy! And please add to this. It was a blast trying to find them all, but what did I miss? 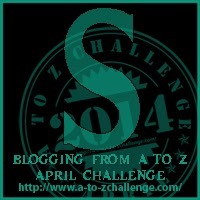 This entry was posted in A to Z challenge and tagged A to Z challenge, Enneagram, Nine types, songs. Bookmark the permalink. Well done! I LOVE it!!!! Thanks and nice to hear from you. I tried to look up your blog but it says nothing found. Songs?!!? This cracks me up! Did you pick these on you own? Yes, with a little help from M and the kids.